I am a native of Anchorage, a product of Denver, and a devotee of Portland (that's rain, not lobster). 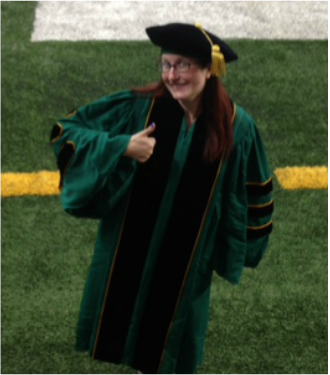 I received my BA in Theatre and English from The University of Portland, my MA in Theatre from The University of South Carolina, and my PhD at Wayne State University in Detroit, MI. My teaching path has taken me to places like Frostburg State University, Southwest Minnesota State University, and Virginia Tech, on my way to Centre College in Danville, KY, where I am an Assistant Professor of Dramatic Arts. An internship at The Warehouse Theatre brought me to Greenville, SC in 2002 where I had the opportunity to act, direct, co-found The Distracted Globe Theatre Company, provide marketing and operation support for the Warehouse, spearhead six V-Day benefit productions, and much more. In my time at Wayne State I spent four summers studying at the Moscow Art Theatre, but my primary research focused on the study of contemporary women playwrights and comic theory. My dissertation focuses on exploring the comic dramaturgy of Sarah Ruhl and Sheila Callaghan. Currently, I am also co-founder and co-editor-in-chief of Etudes, an online journal dedicated to elevating the work of emerging scholars in theatre and performance studies. As an actor, a director, a scholar, a writer, and an educator, the storytelling impulse is close to my heart - and my goal is to share and foster that impulse in as many ways as possible! ​No animals were harmed in the making of this website.